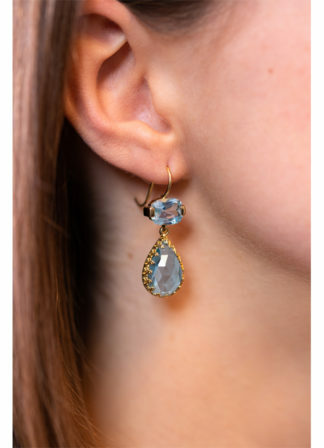 These long-length earrings feature a pair of rose-cut topaz pear shapes. 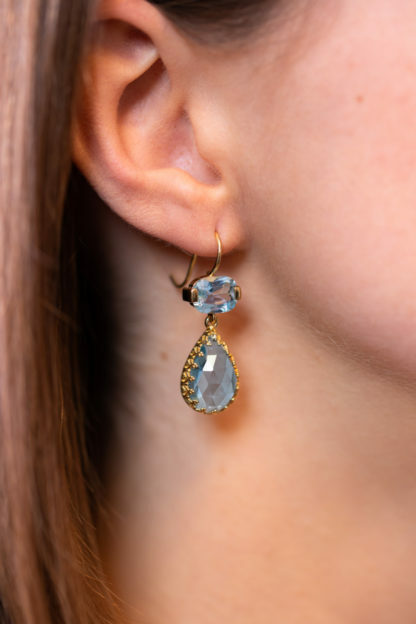 Rose-cut gem stones are gems with flat bottoms and domed checkerboard or faceted crowns. Those stones were custom-cut for Anne.